This week, Southern Discomfort (SDRD) made a statement detailing the results of an investigation into breaches of their Sexual Harassment Policy, league Code of Conduct and MRDA’s Code of Conduct. The MRDA Board, in conjunction with the Grievance Committee, takes accusations of sexual assault and harassment, in fact any breach of policy or Code of Conduct, seriously. In this matter, SDRD sought our guidance from the beginning. 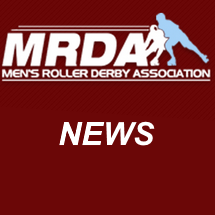 Investigating any incident is complex and difficult, and MRDA has mechanisms in place to help our member leagues navigate these situations should they arise. Horndog is banned from the MRDA for 2 years. Rolling Thunder is banned from the MRDA for 2 years. Sutton Impact is banned from the MRDA for 2 years. Should Horndog, Rolling Thunder or Sutton Impact wish to return at the end of that 2 years, they will need to petition the MRDA Board, providing documentation that demonstrates further efforts have been made to re-educate themselves and make amends for their behaviour. If the Board of the day decides to allow them to return, 2 years probation will apply. Igor Maniac is suspended from officiating MRDA events pending outcome of a WFTDA investigation. Savage Hun is suspended from the MRDA pending outcome of the SDRD investigation. Ballistic Whistle will be on probation for 1 year from the point of reinstatement to any MRDA league. MRDA is not a home for those who think it’s ok to assault and harass their league mates, their competitors or anyone present at events hosted by the Association itself, by our member leagues or where MRDA members are present. Where possible, the Board will be proactive in disciplining members who have breached the Code of Conduct and policies we ALL agreed to upon joining the MRDA. We take complaints seriously. Individual members or member leagues can bring a complaint to Grievance or the Board at any time. You will be heard.